Here's a very old model of mine with a face lift: the Commonwealth CA-15, nicknamed "Kangaroo". I had been working on a Mental Ray version of this 2003 model on and off since 2007, but only in 2010 I finally rendered a proper image of it. It was used as a book cover for "Australia's Lost Fighter", written by David Clark and published by Red Roo Models from Australia. Designed during WW2 in Australia around a large radial engine, it actually first flew in 1946 with Rolls-Royce V12 instead. Visually pretty much a P-51 Mustang on steroids and with performance to match (448 mph/721 kph top speed), it wasn't ordered into production. World War 2 had ended after all, plenty of dirt cheap Mustangs were readily available and more importantly the new jet fighters rendered all prop fighters obsolete. 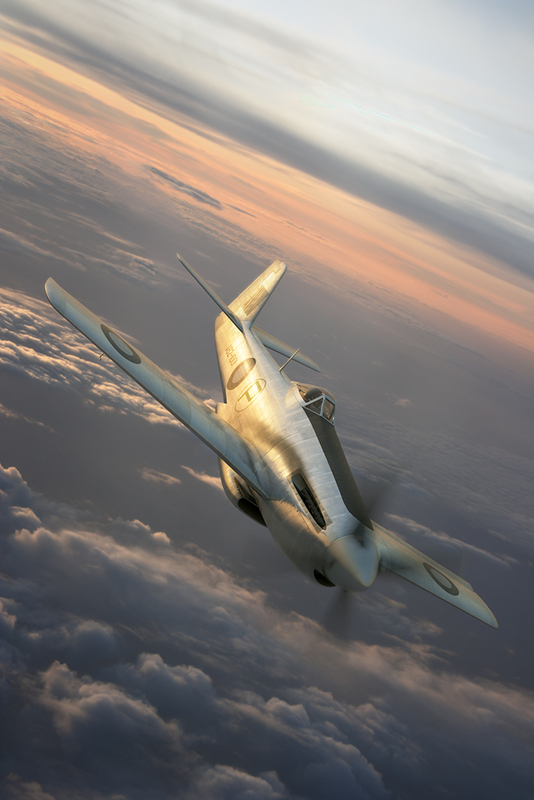 The image, dubbed "Down Under", shows the CA-15 in its 1946 colours during a sunset test flight. PS. Please allow me to take this opportunity to announce my new website at [url=http://www.aviationart.aero]www.aviationart.aero[/url] and Facebook page to match: [url=http://www.facebook.com/aviationart.aero]www.facebook.com/aviationart.aero[/url].